Natural cotton canvas. 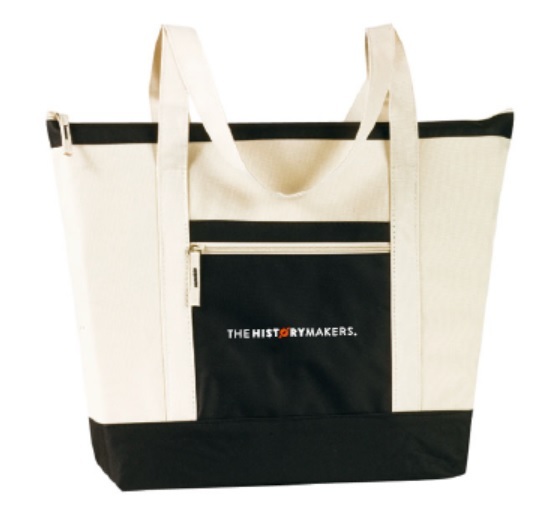 The tote bags are white and black with The HistoryMakers logo on it. Classic, durable and an incredible value! Easy access to main compartment. Show your support in style! T-Shirts are available in the following sizes: XS, S, M, L, XL, and 2XL. 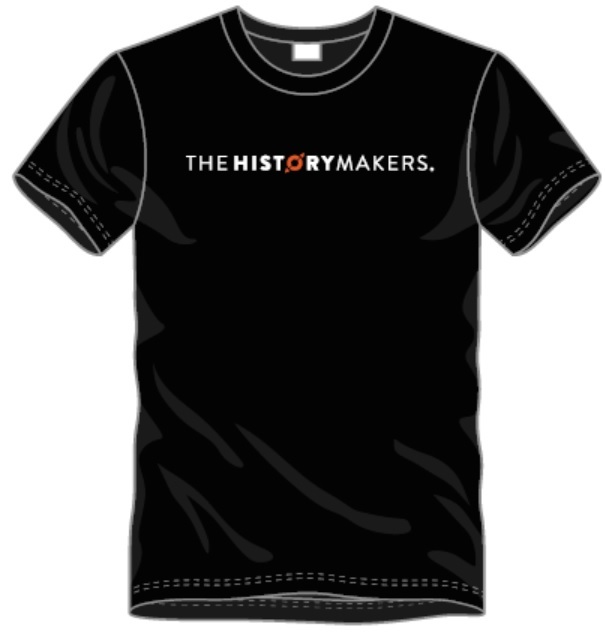 All t-shirts are black with a white The HistoryMakers Logo. Show your support in style! 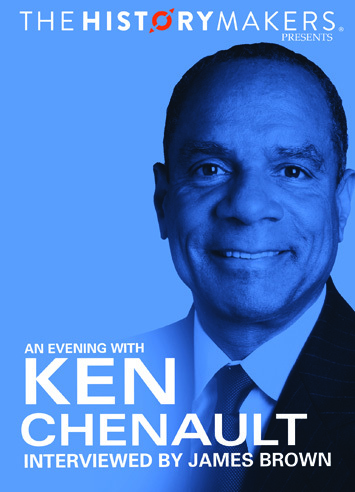 Take a rare, inside, look into the life and career of one of America’s most successful CEOs –Ken Chenault, featuring Warren Buffett, Ursula Burns, Vernon Jordan, Oprah Winfrey, David Rubenstein, Dr. J, Magic Johnson, Ken Frazier, and more, in An Evening With Ken Chenault. Taped live on Saturday, November 3, 2018, in New York City’s The New York Times Center, and hosted by sportscaster James “J.B.” Brown, the program pays tribute to Chenault’s extraordinary life and career - from his early professional years as a lawyer and consultant into his nearly forty year career at American Express. Chenault delivers a must-see master class on leadership! 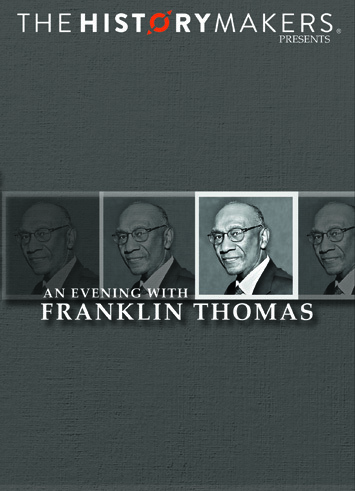 Follow philanthropic and business leader Franklin Thomas from his beginnings in New York’s Bedford Stuyvesant neighborhood to the corporate board room in An Evening With Franklin Thomas. Taped in New York City on Saturday, November 11, 2017 at the AXA Equitable Center, in front of a standing room only audience, the program features appearances by Gloria Steinem, Darren Walker, Vernon Jordan, Ursula Burns, Edward Lewis, Henry Schacht, Dr. Mamphela Ramphele, Judge Albie Sachs, Gay McDougall, Raymond McGuire, and video interviews of 35 others, An Evening With Franklin Thomas provides viewers an inside look into the life and career of one of the nation’s most accomplished civic and business leaders, Franklin Thomas. 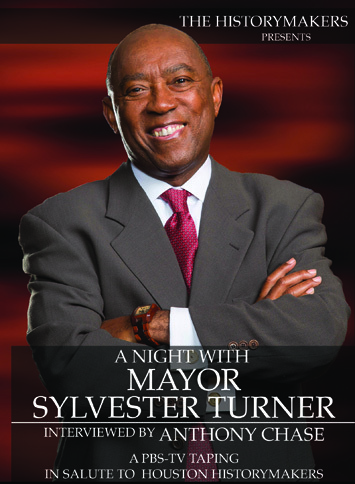 A Night With Mayor Sylvester Turner, In Salute To Houston HistoryMakers is a one-on-one interview with Houston Mayor Sylvester Turner, hosted by ChaseSource CEO Anthony Chase. Taped at the Granville M. Sawyer Auditorium at the historic Texas Southern University, A Night With Mayor Sylvester Turner follows Turner from his birth in the Acres Farms neighborhood, to his education at the University of Houston and eventually Harvard Law School, to his law career and storied tenure in the Texas House of Representatives, and his bids for Houston’s mayoralty in 1991, 2003, and triumphantly in 2015. The program features clips and commentary from many of the forty other HistoryMakers that have been interviewed in Houston, including: Texas Southern University Provost Bobby L. Wilson, obstetrician and gynecologist Dr. L. Natalie Carroll, astronaut Dr. Robert L. Satcher, Jr., former Alpha Kappa Alpha Sorority International President Mattelia B. Grays, Attorney Anthony Hall, Jr., former NBA star David Lattin, and many others.